‘The Alleged Occupation’ … This is America’s Position?! The suspicious silence is unacceptable. The truth of how much we owe the United States shames us [Europeans] so deeply that we can only condemn and blame them for everything. 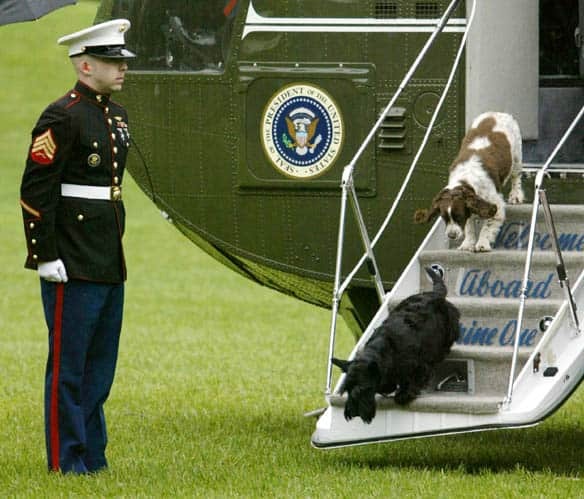 What's important is that Bush loved his dog Barnie, long considered him his good friend and, most importantly, never talked about politics with him. Perhaps Barnie never discussed politics so as to avoid dying at an early age.